Boon MODWARE is great for toddlers who are not quite ready to rock adult tableware. 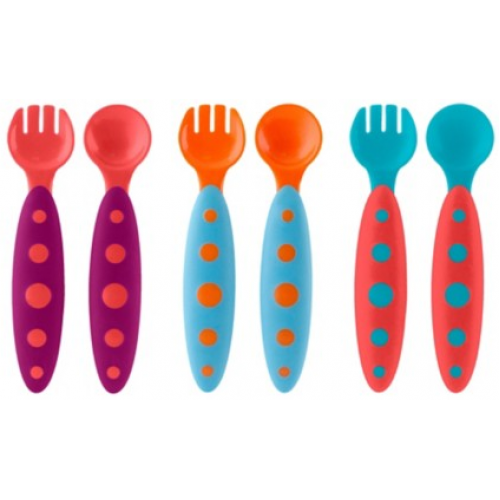 The soft, comfy grip is part of an overall ergonomic design that makes eating simple. There are no sharp edges to ruin a meal. Bonus: Great for pretend sword fights! Wash thoroughly before initial use and after each use. Wash each piece separately. Dishwasher-safe or hand wash in warm, soapy water. DO NOT microwave. DO NOT boil or sterilize.